Guildhall Brief Size Pocket Wallet 14x10in Blue (Pack of 50) PW3-BLU Pack of 50 Guildhall Pocket Wallet 14 x 10. Classic brief size pocket wallet with a full 244mm flap and 34mm gusset. Manufactured from 315gsm sprint manilla. Colour - Blue. Guildhall Legal Double Pocket Wallet Foolscap Pink (Pack of 25) 214-PNK Pack of 25 Guildhall Double Pocket Legal Wallet. Foolscap size wallet with pockets on both covers (long sides), 35mm gusset and manufactured from strong 315gsm sprint manilla for extra durability. Colour - Pink. Guildhall Legal Double Pocket Wallet Foolscap Blue (Pack of 25) 214-BLU Pack of 25 Guildhall Double Pocket Legal Wallet. Foolscap size wallet with pockets on both covers (long sides), 35mm gusset and manufactured from strong 315gsm sprint manilla for extra durability. Colour - Blue. Guildhall Legal Double Pocket Wallet Foolscap Yellow (Pack of 25) 214-YLW Pack of 25 Guildhall Double Pocket Legal Wallet. Foolscap size wallet with pockets on both covers (long sides), 35mm gusset and manufactured from strong 315gsm sprint manilla for extra durability. Colour - Yellow. Shown in pink. Guildhall Legal Double Pocket Wallet Foolscap Green (Pack of 25) 214-GRN Pack of 25 Guildhall Double Pocket Legal Wallet. Foolscap size wallet with pockets on both covers (long sides), 35mm gusset and manufactured from strong 315gsm sprint manilla for extra durability. Colour - Green. Guildhall Brief Size Pocket Wallet 14x10in Green (Pack of 50) PW3-GRN Pack of 50 Guildhall Pocket Wallet 14 x 10. Classic brief size pocket wallet with a full 244mm flap and 34mm gusset. Manufactured from 315gsm sprint manilla. Colour - Green. Guildhall Legal Double Pocket Wallet Foolscap Buff (Pack of 25) 214-BLU Pack of 25 Guildhall Double Pocket Legal Wallet. Foolscap size wallet with pockets on both covers (long sides), 35mm gusset and manufactured from strong 315gsm sprint manilla for extra durability. Colour - Buff. Range of colours shown. Q-Connect Legal Wallet 50mm Capacity (Pack of 10) KF01377 Pack of 10 Q-Connect Legal Wallets. Manufactured from extra strong manilla, with cloth gussets and wrap around Pink legal tape for extra security. Capacity 50mm. Foolscap size. Guildhall Brief Size Pocket Wallet 14x10in Buff (Pack of 50) PW3-BUF Pack of 50 Guildhall Pocket Wallet 14 x 10. Classic brief size pocket wallet with a full 244mm flap and 34mm gusset. Manufactured from 315gsm sprint manilla. Colour - Buff. Guildhall Brief Size Pocket Wallet 14x10in Pink (Pack of 50) PW3-PNK Pack of 50 Guildhall Pocket Wallet 14 x 10. Classic brief size pocket wallet with a full 244mm flap and 34mm gusset. Manufactured from 315gsm sprint manilla. Colour - Pink. Guildhall Legal Double Pocket Wallet Foolscap Orange (Pack of 25) 214-ORG Pack of 25 Guildhall Double Pocket Legal Wallet. Foolscap size wallet with pockets on both covers (long sides), 35mm gusset and manufactured from strong 315gsm sprint manilla for extra durability. Colour - Orange. Q-Connect Legal Wallet 75mm Capacity (Pack of 10) KF01376 Pack of 10 Q-Connect Legal Wallets. Manufactured from extra strong manilla, with cloth gussets and wrap around Pink legal tape for extra security. Capacity 75mm. 50mm. Foolscap size. Guildhall Legal Double Pocket Wallet Foolscap Red (Pack of 25) 214-RED Pack of 25 Guildhall Double Pocket Legal Wallet. Foolscap size wallet with pockets on both covers (long sides), 35mm gusset and manufactured from strong 315gsm sprint manilla for extra durability. Colour - Red. Shown in pink. Guildhall Brief Size Pocket Wallet 14x10in Red (Pack of 50) PW3-RED Pack of 50 Guildhall Pocket Wallet 14 x 10. Classic brief size pocket wallet with a full 244mm flap and 34mm gusset. Manufactured from 315gsm sprint manilla. Colour - Red. 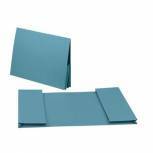 Guildhall Probate Document Wallet 315gsm Blue (Pack of 25) PRW2-BLUE Pack of 25 Guildhall Probate Wallet. Large capacity foolscap wallet with a full flap and 75mm gusset manufactured from 315gsm sprint manilla. Colour - Blue. 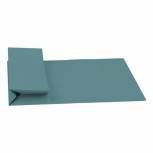 Guildhall Probate Document Wallet 315gsm Green (Pack of 25) PRW2-GRN Pack of 25 Guildhall Probate Wallet. Large capacity foolscap wallet with a full flap and 75mm gusset manufactured from 315gsm sprint manilla. Colour - Green. Guildhall Brief Size Pocket Wallet 14x10in Yellow (Pack of 50) PW3-YLW Pack of 50 Guildhall Pocket Wallet 14 x 10. Classic brief size pocket wallet with a full 244mm flap and 34mm gusset. Manufactured from 315gsm sprint manilla. Colour - Yellow. 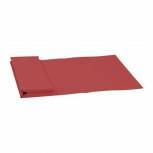 Guildhall Probate Document Wallet 315gsm Red (Pack of 25) PRW2-RED Pack of 25 Guildhall Probate Wallet. Large capacity foolscap wallet with a full flap and 75mm gusset manufactured from 315gsm sprint manilla. Colour - Red. Guildhall Brief Size Pocket Wallet 14x10in Orange (Pack of 50) PW3-ORG Pack of 50 Guildhall Pocket Wallet 14 x 10. Classic brief size pocket wallet with a full 244mm flap and 34mm gusset. Manufactured from 315gsm sprint manilla. Colour - Orange. Guildhall Probate Document Wallet 315gsm Pink (Pack of 25) PRW2-PNK Pack of 25 Guildhall Probate Wallet. Large capacity foolscap wallet with a full flap and 75mm gusset manufactured from 315gsm sprint manilla. Colour - Pink.